When I moved from Sydney to Melbourne in 2001, I joined SACS Consulting under the leadership of Andrew Marty.Early the following year Andrew hired three fresh-faced graduates to join the team. One of those graduates quickly stood out as being smarter, quicker to learn and more suited to the challenges of recruitment than the other two. Andrew quickly gave this graduate a lot of responsibility for someone so young and green. I left SACS a short time later but continued to watch with interest from afar as that raw graduate continued to develop her profile in the Melbourne executive recruitment sector. Nearly fifteen years later I renewed my acquaintance with that graduate, Clare McCartin at the SEEK SARA Awards in Melbourne and watched with delight as she was announced as the 2016 Recruitment Consultant of the Year. 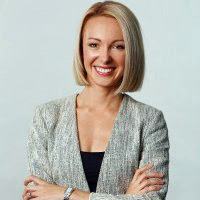 Brisbane based, Davidson (formerly Davidson Recruitment) have been on an aggressive expansion path over the past two years and one of their biggest coups was luring Clare away from SACS after 13 years, where she had risen to become a Director. Since September 2015 Clare has been General Manager Executive and Boards for Davidson in Melbourne and she is now embarking on the new phase of her career as Davidson continues its push into the Melbourne, Sydney and Auckland markets. Clare kindly agreed to do a favour for a former colleague by answering my questions about her background, her SARA win and succeeding as a recruiter, now and in the future. Clare: I joined the recruitment sector as a bright eyed graduate, having completed a psychology degree and a Masters degree in HR and after a brief stint as an intern in a psych testing firm. I thought I’d do two years in recruitment and then launch into a generalist HR role. However I quickly discovered that I didn’t want to give up what I quickly grew to love: the recruitment side of the HR lifecycle. Definitely advising candidates they had been unsuccessful. People outside of the sector often think that recruitment consultants give people wonderful news all the time, but that only happens with 1 to 2 per cent of the candidates a recruiter works with. I used to dread making rejection calls in the early days, which was just after 9/11, when the market was tough, and some candidates really needed a job. I quickly realised that having quick, open and honest conversations, taking a strength-based approach to feedback, was the easiest way to go. Having started in a boutique, I received a mix of on-the-job (aka in the deep end) and a very structured modular training program such as ad writing, how to spot strong candidates etc. I actually think this was a great mix as there are technical skills you need but you also need to be really hungry to achieve. As I quickly found out, you can’t succeed in this incredibly competitive sector unless you have both. I recruit in government mainly. The biggest challenge is having clients consider a talent from outside the government, or closely related, sector. Having said that, in the past two years I’ve noticed a real shift in an openness to appoint outside the sector. Davidson has an in house L&D function and in addition to that I attend the occasional workshop or conference put on by leaders from our sector. We also share stories every week in our team catch up of successes and something that we learnt from the previous week. These on the job peer-learnings offer some real gems for our whole team. Yes, the main statistic, (obviously in addition to billings) that we use is client visits. Whenever I feel the need to re-focus I always look at how many people I talked to last week and how many meetings I have locked in the calendar for the coming weeks. Your 15 year anniversary in recruitment is coming up early next year. What challenges do you see as the most important ones for the Australian recruitment industry to affectively address in the next five years? Critically we need to maintain relevance through value adding as a genuine consultant as opposed to just referring resumes. Our clients can also access LinkedIn Recruiter if they choose to, so we need to be genuine consultants, stretching our clients’ thinking and collaborating with them to reach better outcomes than they could on their own. The judges are probably best placed to answer this but I think it’s the fact we had a pretty exciting growth story to tell due to a lot of hard work by the entire Davidson team. Although Davidson Executive is a household name in Brisbane, we were unknown in the local Melbourne market so we were faced with the challenge of both a brand and team build. We went from a team of one to six within the space of twelve months and we are building a reputation to the point where we already have people approaching us to join. The Davidson methodology is really information rich with clients receiving psych testing results on the long version of the shortlist along with their video interview responses. Additionally our shortlist reporting is incredibly sophisticated, offering something similar to what we know is offered by traditional search firms but at a much more competitive price point. Lastly, but critically, we are spoilt from a back-of-house perspective at Davidson. I was privileged to partner closely with our amazing internal Communications Manager, Sarah Morgan. When I started at Davidson Sarah asked me what peak bodies and other industry representation organisations were important ones for my market. She got in touch with those peak bodies about me contributing to their respective publications, resulting in me writing 10 plus articles on topics and issues I specialise in and I could add value to. Write! Whether it’s a short piece or a white paper get in front of your audience as a thought leader who adds value beyond your great recruitment work to your client base. Be present at your sector events so you are seen by your clients. Set yourself up with a firm that offers you the chance to stand out who has a proper marketing/communications/ finance and technology division and are investing in the future of their business. Recruitment can be a brilliant career, but more than ever I think it’s critical to find your micro-specialisation, people love to deal with specialists and certain sectors are growing more than others so do your research and make sure you position yourself in those sectors that are growing.